If you’re searching for unique outdoor accommodations in Tennessee, look no further than the Just Hanging’ Around Cabin! 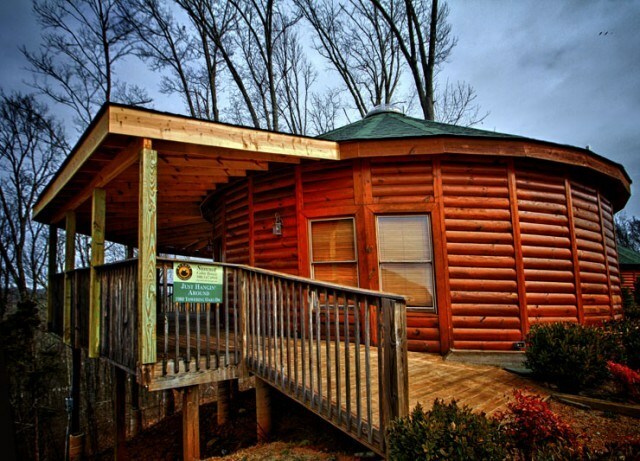 This gorgeous round cabin, located in the foothills of the Smoky Mountains, offers fantastic views and fun for the entire family. Only a short drive from Great Smoky Mountains National Park and other popular Tennessee attractions, campers of all ages will enjoy the year-round outdoor recreation and exciting activities in this area. 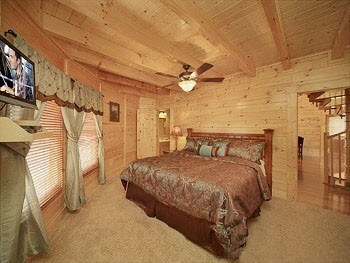 Nestled in a stunning wooded setting, this cozy round cabin is the perfect place for a getaway regardless of the season. The warmer months can be spent on the large, wrap-around deck while the colder months can be spent enjoying the sunlight under the huge circular skylight or relaxing in the outdoor hot tub. This charming rental can comfortably accommodate 8 guests. The two bedrooms both feature a king bed, and there are two futons located under the skylight for some great night sky viewing. Guests share two bathrooms, and the full kitchen has everything you need to create a delicious dinner to savor out on the porch. The washer and dryer mean you can pack light, and families can enjoy air hockey, satellite TV, WiFi, and access to the outdoor resort swimming pool. Planning a trip over the Christmas holiday? You can look forward to a fully decorated home-away-from-home! Wahoo Ziplines, the biggest zipline in the USA, is just a short drive from the cabin (and guests enjoy discounted tickets!). 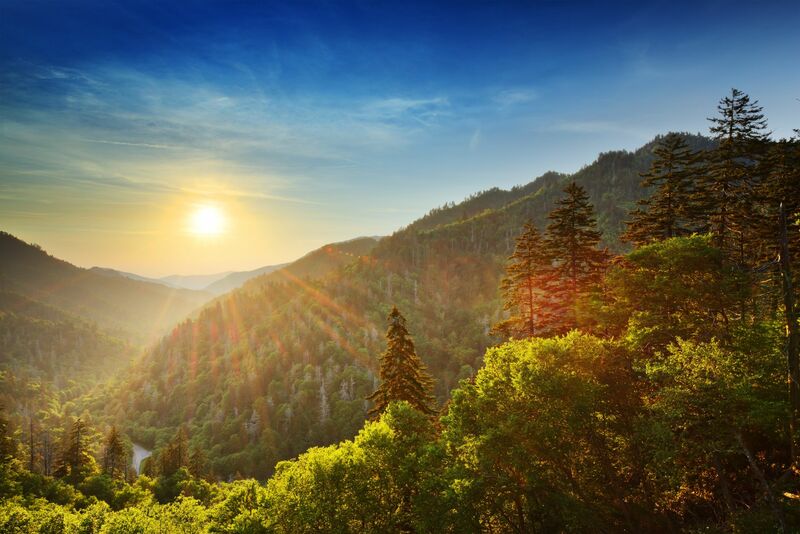 Spend a day hiking, biking, or exploring waterfalls at Smoky Mountains National Park, or just enjoy the jaw dropping sights on a scenic mountain drive. In Sevierville, visitors can check out Tennessee Mountain Paintball, Sevier Air Trampoline & Ninja Warrior Park, Adventureworks Climb-Zip-Swing, helicopter tours, Sky High Air Tours, the Tennessee Museum of Aviation, Rainforest Adventures Discovery Zoo, and of course, the popular Dolly Parton statue. Other popular activities in the area include the Forbidden Caverns, fishing, golf, horseback riding, rafting, ATV riding, hunting, and canoeing. 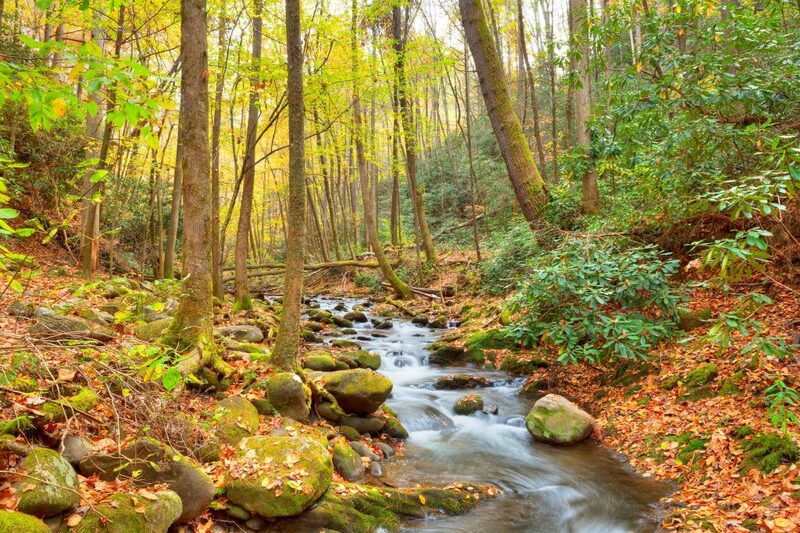 Ready to start planning your Tennessee camping getaway? 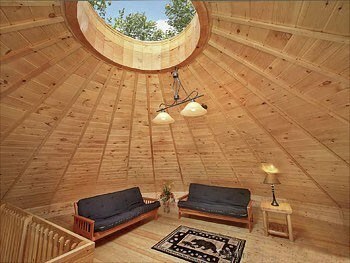 Don’t miss out on the opportunity to spend some time in this beautiful, round cabin! 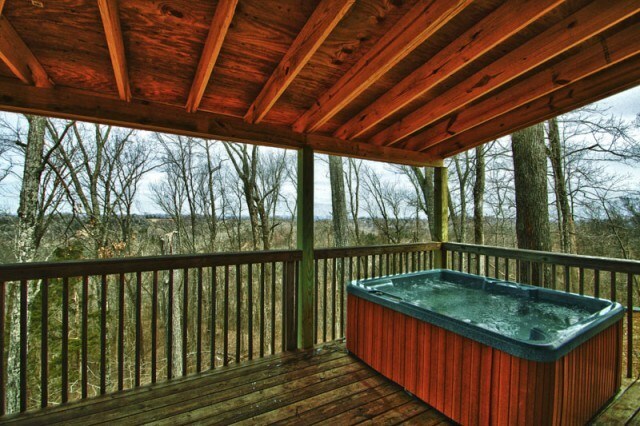 Close to area attractions and offering easy access to the great outdoors, the Hangin’ Around Cabin is the ideal destination for families, friends, and couples searching for a unique Tennessee escape. Book your stay today on Camp Native!